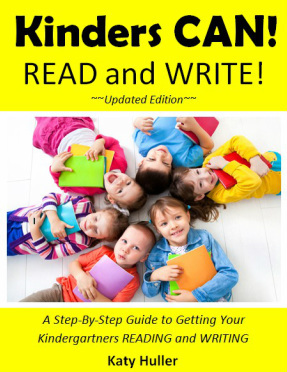 Get Your Kindergarten Students READING and WRITING this Year! The Kinders Can! READ and WRITE! program is designed to help you get your kindergarten students reading and writing real text as quickly as possible. Supported by current research and filled with "best practices," it is a powerful program that can help you get even your most diverse groups reading and writing. See Kinders Can! in ACTION with Alanna Grant!!! Make Sure You Teach Your Kids the "TRICKS" This Year! If you want to get your kids really READING and WRITING this year, they'll need to know the "TRICKS!" Tricks are letters and/or letter combinations that create new sounds when they appear together or in a certain position in a word, such as sh, ch, th, er, or, ou, ar, sleepy e, and 2 vowel combinations. Order a set for your classroom and start teaching them today! 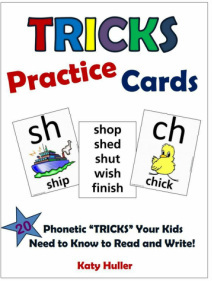 *Practice sounding out words with "tricks"
*Watch your kids learn to read and write! Encourage your students' parents to get their own copy for extra practice at home! Reading words with and without TRICKS! All 26 Letters and Sounds! _Alphabasics has ready-made homework pages for all 26 letters -- 5 pages per Letter! These pages will help reinforce important letter recognition skills, handwriting skills, and beginning sound skills. Writing a Literacy Chart the "Slow" and "Fast" Way! Reading a Literacy Chart the "Slow" and "Fast" Way! First Book in New Series for PARENTS and/or Teachers Now Available!!! If your kids know their letters and sounds, get them reading and writing words and sentences!!! 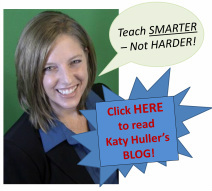 This powerful guide is easy to read and understand whether or not you are a trained educator! It provides simple step-by-step instructions on how to get your kids reading and writing 2 and 3 letter words, and it comes with pages of practice words and sentences to make sure you have what you need to help them get the hang of doing so! If you are ready to teach your kids how to read and write their first words in a systematic, child-friendly way, this book is for you! Not sure which products are right for you? Have a question or comment? Contact Us!